By Ricardo Bilton @rbilton Feb. 1, 2018, 7 a.m. Starting today, visitors to Wired.com will be able to read four articles a month, plus a snippet of a fifth article, before Wired asks them to subscribe. A yearly subscription will have an introductory rate of $20 (final pricing is TBD), and will include access to Wired’s website as well as its print and digital editions. Wired editor-in-chief Nick Thompson, who joined the magazine last January after seven years as editor of NewYorker.com, said that developing a Wired paywall topped his agenda from the earliest stages of taking on the job because “it is my strong sense that paywalls are an essential part of the future of journalism. We don’t know exactly how the web will develop, which platforms will become big, but we do know that having a direct monetary relationship with you readers is one way to insure that you have a stable financial future,” he said. The idea seems particularly vital now, just weeks after Facebook announced that it would be deprioritize publisher content in the News Feed in favor of content from users. With Facebook reliance becoming increasingly dicey, and with the big tech companies controlling most growth in digital advertising, more publishers have embraced a “pivot to readers” and explored ways to generate more revenue from subscriptions and memberships. In addition to Wired, the likes of The Atlantic, Business Insider, and CNN have all either launched or announced digital subscription products in the past year. But Thompson argued that reader revenue is also attractive because it “creates the incentives to do the best possible journalism.” Rather than write and optimize for whatever will travel best on Facebook or attract the most attention, he said that subscription revenue puts the business incentives and editorial incentives on the same axis, which is fundamentally good for readers. “That’s just a great place to be,” he said. Thompson said that the paywall conversations at Wired were easier than those at The New Yorker, where he oversaw the implementation of the magazine’s paywall in 2014. This is in large part because many of the central questions Wired would have had when designing its paywall were already answered during The New Yorker’s own paywall design process. One was the inherent tension between paywall meters on one hand and ad revenue on the other: How much does implementing a paywall negatively impact site’s traffic? Wired.com and NewYorker.com do differ in small, but significant ways, however. Wired, for example, has a greater percentage of readers coming from Google than The New Yorker, which has a more significant percentage of readers coming in from its newsletters and from Facebook. Those differences in the referral picture will determine how Wired tweaks its paywall going forward. 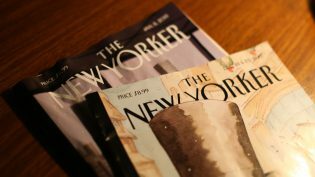 The New Yorker found that newsletter subscribers are highly likely to pay, while Google visitors don’t show that same kind of loyalty. Wired’s paywall could be a first step toward a more membership-oriented paid product, Thompson said. Wired is, for example, considering developing a more robust, curated commenting system that could help draw in more subscribers. Other, more membership-oriented product ideas are also in the works, though they’re still in the early stages and Thompson declined to talk specifics. This is ultimately why Thompson isn’t too concerned with Wired.com readers arguing that the site’s new paywall is antithetical to the magazine’s long-held ethos. After all, the second part of “the information wants to be free” argument is often conveniently omitted: Information may want to be free (because it’s so cheap to copy and distribute), but it also wants to be expensive (because it’s so valuable). 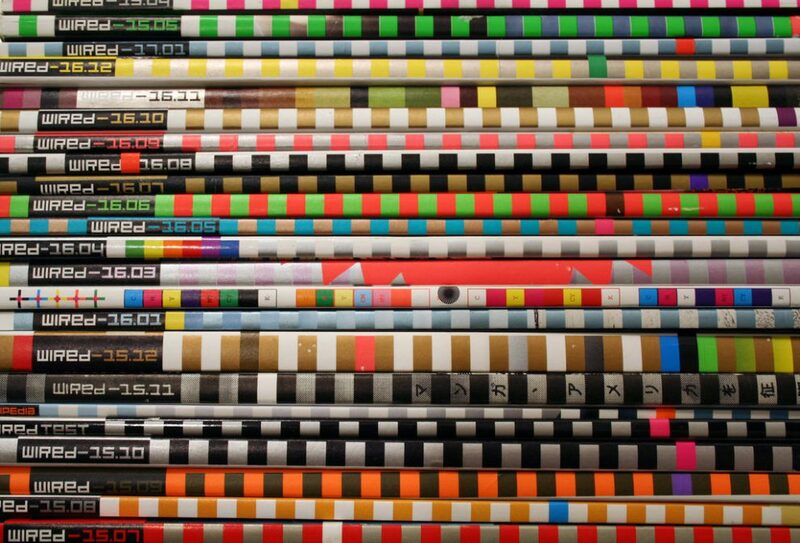 Photo of Wired magazines by kokilduff used under a Creative Commons license. POSTED Feb. 1, 2018, 7 a.m.
Bilton, Ricardo. "Learning from the New Yorker, Wired’s new paywall aims to build a more “stable financial future”." Nieman Journalism Lab. Nieman Foundation for Journalism at Harvard, 1 Feb. 2018. Web. 25 Apr. 2019. Bilton, Ricardo. "Learning from the New Yorker, Wired’s new paywall aims to build a more “stable financial future”." Nieman Journalism Lab. Last modified February 1, 2018. Accessed April 25, 2019. https://www.niemanlab.org/2018/02/learning-from-the-new-yorker-wireds-new-paywall-aims-to-build-a-more-stable-financial-future/.